With a B2B direct debit, you can ‘automatically’ collect sums from the account of your business customer. An additional advantage is that your customer cannot request the refund of the payment. B2B direct debits therefore provide more security and reduce your financial risk. A B2B mandate handled through Twikey also considerable reduces the throughput time and the process-related personnel costs. For a B2B mandate, your customer must register the mandate with his bank. This can sometimes go wrong. 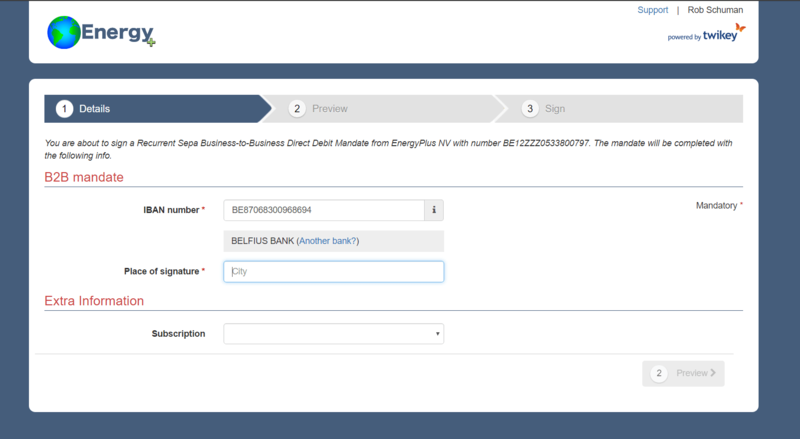 Your customer forgets to do this or the (paper) form is not correctly registered, causing the SEPA collections to fail. Twikey helps you avoid these issues by offering your business customers an easy direct debit procedure. With the Twikey solution, your customer can conclude and register a B2B mandate directly online. Twikey is the only party to offer a full digital flow for B2B mandates with 10 Dutch and Belgian banks – with exclusive connectivity and SLA’s. With this, Twikey serves 99 % of all business accounts in a fast way. You are using another (foreign) bank? In that case, the customer can print a completely correct document. You use 1 process for all your B2B mandates via Twikey. The Twikey procedure is very easy, both for you and your customer. Your customers can sign and register a B2B mandate through a special Twikey link. This link can be integrated into websites, portals, e-mails and / or web shops and is entirely made up in your own house style: recognizable and familiar for your customers.